Though the firm dates back 100 years, Pestalozzi’s arbitration practice was established around 25 years ago, flourishing under the care of respected arbitrator Pierre Karrer. He left the firm some years ago to establish his own boutique but the team has continued to boast one of the largest arbitration practices in Switzerland, with as many as 30 lawyers in the practice. It has offices in Zurich and Geneva. The practice co-heads are Michael Kramer in Zurich and Thomas Legler in Geneva. Kramer is a member of the Arbitration Court of the Swiss Chambers’ Arbitration Institute, while Legler is a member of the ICC Swiss national committee and also features on the World Trade Organization’s arbitrator list. Other names to know include Zurich arbitration group leader Laurent Killias, a co-founder of the Swiss Arbitration Academy and a member of the ICC Commission on Arbitration, and partner Christophe Emonet, who heads the Geneva litigation and arbitration group. The firm has a long-standing relationship with Glencore, which often uses it for disputes work. Other clients include Johnson & Johnson, insurer Swiss Life, retail group Coop Cooperative, German engineering group Bosch, France’s Bouygues Construction as well as various Swiss and international financial institutions. Turkmenistan’s national gas company Türkmengaz is also using it for an ICC case against the National Iranian Gas Company over an alleged €1.54 billion debt for gas deliveries from Turkmenistan to Iran. It is co-counselling with Curtis Mallet-Prevost Colt & Mosle on that matter. It has also paired with White & Case to defend Thailand-based latex glove producer Siam Sempermed in a Swiss arbitration brought by one of its shareholders, Austria’s Semperit. The firm has acted for the claimant in one of the largest cases before the Swiss Chambers Arbitration Institute, worth more than US$1.5 billion. As part of that dispute, it won a rare set-aside decision from the Swiss Federal Supreme Court. It has obtained annulments in another case, which marked the first time the Swiss court has set aside two awards in the same dispute. One award was annulled in 2014 and the other in 2016, after the court found the arbitrators had ignored its guidance and merely affirmed their earlier findings. In another Swiss court action, it helped a unit of Bosch successfully defend an ICC award in a dispute with Italian engineering firm Piacentini over liability for a ship-lift accident at the port of Livorno. Pestalozzi represented the Indian government in a challenge to an investment treaty award in favour of Deutsche Telekom. The high-profile case saw the court conduct a rare public deliberation before upholding the award by a three-to-two majority in December 2018. The court found the treaty in question didn’t preclude claims in respect of indirect investments. The firm has paired up with Clifford Chance to represent Bouygues in a dispute with Swiss energy company Alpiq before the Swiss Chambers. The client seeks a purchase price adjustment following its €750 million acquisition of Alpiq’s engineering services business in 2018. Michael Kramer was part of an ICC tribunal that saw a US$365 million dispute between Canadian and Italian pharmaceutical companies reach a settlement. The case concerned the development of a drug used to treat bowel disease. 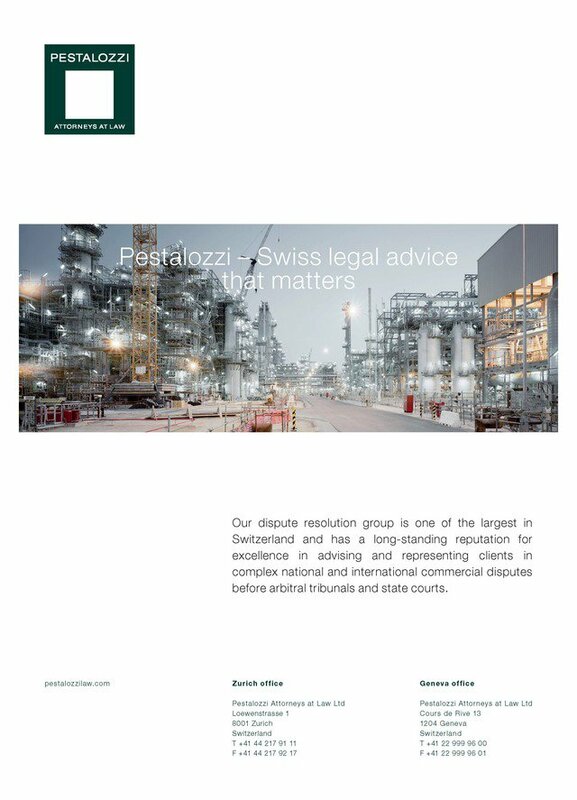 Pestalozzi supports its international and domestic clients from its offices in Zurich and Geneva regarding all aspects of Swiss law. With the extensive experience and the strong commitment of its staff, the firm helps its clients achieve their goals quickly and efficiently. Pestalozzi’s roots go back to 1911; of the major Swiss law firms, Pestalozzi has the longest tradition. 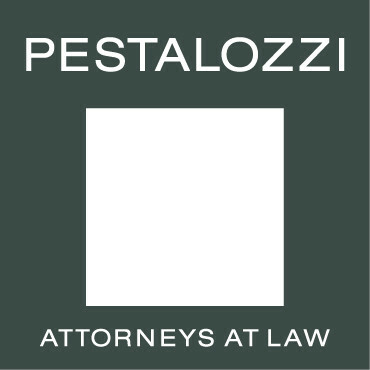 Pestalozzi's Litigation & Arbitration practice group offers a full range of dispute resolution services for all businesses and industries and covers all aspects of litigation, arbitration, and mediation. The Litigation & Arbitration practice group has a long-standing reputation for excellence in advising and representing clients in complex national and international commercial disputes before state courts and arbitral tribunals. In addition to acting in commercial disputes, the Litigation & Arbitration practice group is well known for its expertise in insolvency matters, asset tracing, and international judicial assistance in civil and criminal matters as well as matters involving white-collar crimes. The large size of the Litigation & Arbitration practice group and the profound expertise of its individual members allow the firm to provide each of its clients the best team for its needs. Members of the group also frequently serve as arbitrators and mediators in ad hoc and institutional arbitrations. Further, they regularly lecture on dispute resolution issues before practitioners and academics and publish in their areas of expertise.